Usually, a business owner will employ certain individuals for keeping the premises clean and tidy. These individuals would denote the cleaning staff. The cleaning staff would help keep the facility clean and hygienic. In addition, they might also be useful for maintaining the pristine condition of the property. These individuals could typically comprise janitors, custodians and day porters. In larger commercial properties though, the facility owner typically hires a team of professionals for keeping the area clean. These facilities usually feature office spaces given to a number of commercial enterprises on a lease. Professional cleaning companies hire individuals who have taken various cleaning training courses online. In addition, they use the latest tools and equipment to provide higher levels of cleanliness with minimal fuss. 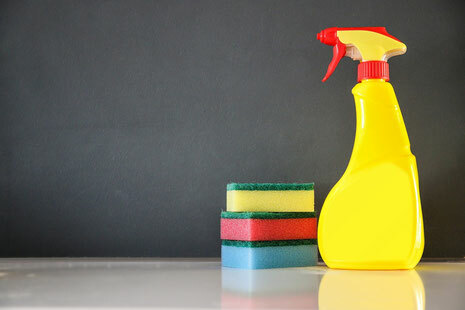 What are the Benefits of Taking Cleaning Training Online? Many people hardly have the time to keep their homes clean nowadays. This is because many of them spend a higher number of hours at work each day. In addition, cleaning larger commercial buildings often involves a high degree of skill and complexity that regular cleaning staff might be unable to offer. In this scenario, professional cleaners have become indispensable for many domestic and commercial property owners. Are You Looking for the Best Professional Cleaning Courses Online? At the Australian Salesmasters Training Company, we offer the best courses in the country for a variety of fields. From accounting courses to cleaning training online, we offer a variety of courses aimed at boosting your professional credentials and expertise. For instance, our cleaning courses provide certifications in cleaning operations, cleaning management and work health & safety. We keep our course material updated with the latest developments in the field. Thus, you could use these courses to keep yourself ahead of the others. For more details, give us a call at 02 9700 9333.